Not about those who are hiding their kids so that groupies may think they are still single — but about those who have proved to the world that they are proud of their sperms. The Ghanaian entertainment arena has recorded a number of fathers but unfortunately, a few are proud of them so we call them the ‘coolest dads’. Despite having busy schedules, these celebrities make time with their children and wives. It’s hard to manage fame and family but we think their efforts in the upbringing of their offspring is really awesome. So we bring you 10 of the coolest Ghanaian celebrity dads we know. Okyeame Kwame is the first on our list because he understands the meaning of fatherhood. It’s either he is cracking jokes with his two kids or teaching them the Ghanaian culture. Such a cool family! Samini is another cool dad who has more time for his kids whether or not he is busy. It’s either you see him with his kids at the beach or having fun at home. Proud dad! He is currently the busiest celebrity dad in our industry but guess what, he makes time with his two wonderful kids. Another coolest celebrity dad ever! Another busy dad but makes time for his three kids. As cool as he looks, he is very strict. He ones divulged in an interview that he doesn’t allow his kids to watch his movies especially the ones with adults contents. Wow! I watch Edem take his young boy to school most of the times on Snapchat. He plays all the time with him despite spending most of his time in studio. Great! He is a ‘fool’ but the Kumawood actor doesn’t joke with his family — he enjoys having time with his son. He has a cool boy and he is a cool dad too! Kwaku Manu is a proud dad too. Despite owning an educational complex and spenidng more time acting, Kwaku Manu makes time with his kids and wife. He occasionally shows them off on his social media pages. Cool dad indeed! “Pusher” as he is popularly known is such a busy dad but finds time for his new child. 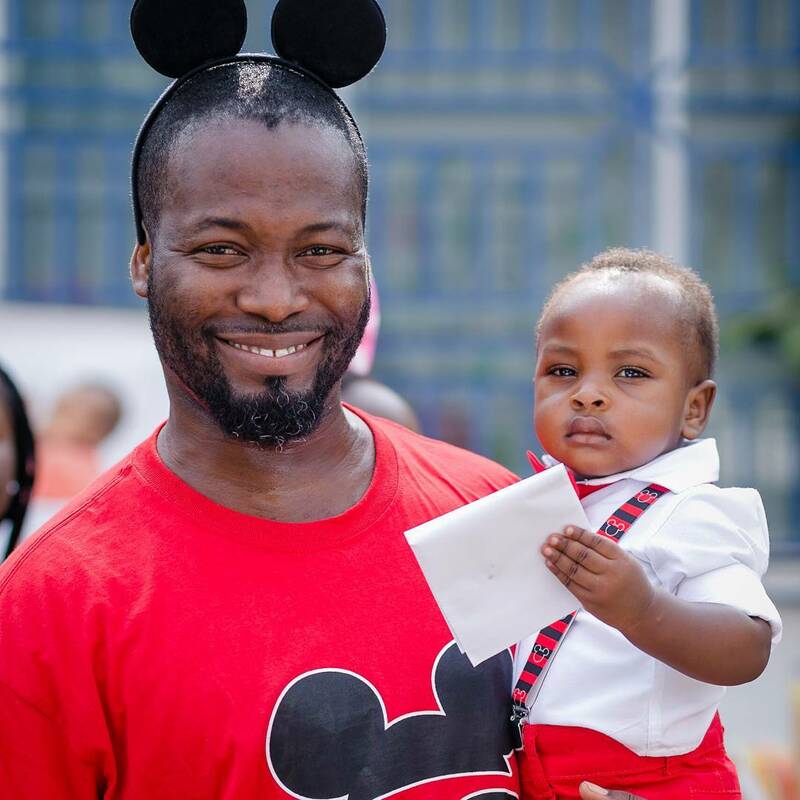 After 7 years of marriage Adjetey Anang and his beautiful wife Elorm welcomed their first child in January this year. Great! “…….unwanted pregnancies or explosions of anger may appear to be de fruit of a moment’s waywardness, but in reality, they’re usually de result of a history of ignoring warnings about an impending fire.” #thisweek heed that small voice that says “wait walk away”, “stop don’t do that.”, “hold on; think first” Go into #thisweek knowing you are more than a conqueror! Majid and even his wife, may be busy parents but trust me, their kids gets the ‘lions share’ of their time. He has three already and expecting one soon. Happy dad! HAPPY 58th Independence Day Ghana!!!!! Samuel doesn’t spend all his time on only the pitch — he reserves some for his beautiful kids. It’s either you see them having fun at home or hanging out or even doing a photo shoot with his kids. That’s cool of him! SUDE Wisdom: Motivation for Success!